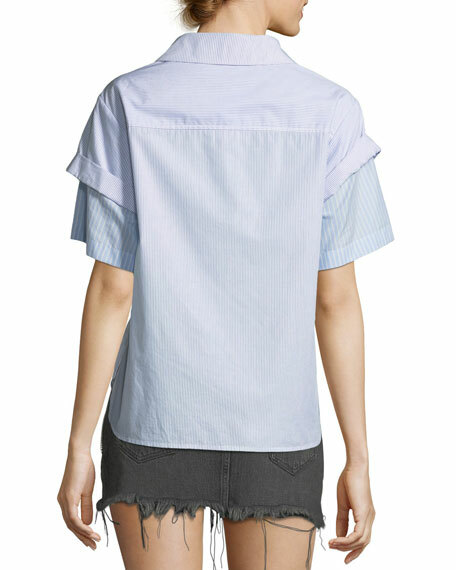 T by Alexander Wang combo-striped shirting layered top. For in-store inquiries, use sku #2477672. 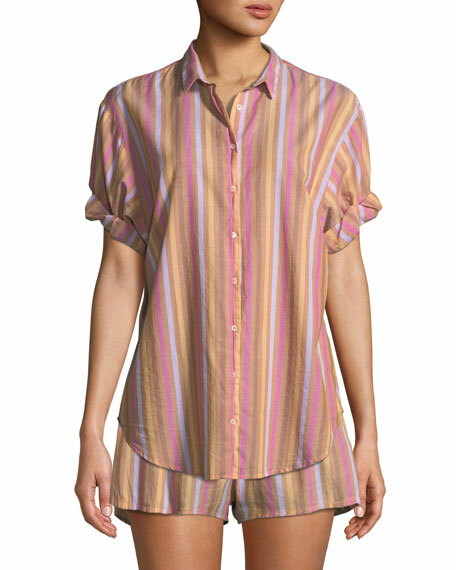 Xirena "Channing" lounge shirt in multicolor stripes. Small spread collar; button front. Short sleeves; rolled cuffs. Relaxed silhouette. Shirttail hem. Cotton. Made in USA of imported material.